We are engaged in offering Non Absorbent Cotton, which are used for household and industrial purposes. Our non absorbent cotton is soft in texture and is provided to our clients at highly competitive prices. Our cotton is tested on various parameters before being supplied to the clients. 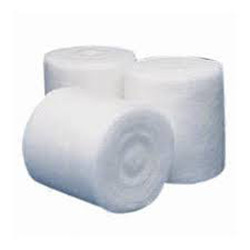 We are engaged in providing a wide range of Non Absorbent Cotton Roll to our clients. We offer broad ranges of Surgical Dressings, i.e. Abs. Gauze, Bandage cloth, W.O.W. Bandages, Abs. Cotton, Crepe Bandages, Abs. Lint, Elastic Adhesive Bandages, Non Absorbent Cotton, Gauze Swabs, Plaster of Paris Bandages etc. which are extremely efficient in curing the wounds with no side effects. We use best quality of raw material while the production of these surgical dressings materials. Our Absorbent Cotton Wool products are made from the finest raw cotton available. We maintain tight control on the quality of raw material we procure.The Finished absorbent cotton products comply with IP and BP standard. For Mushroom growers, quality spawn of high yielding varieties is being supplied The propogating material used by the mushroom growers for planting beds is called spawn. The spawn is equivalent to vegetative seed of higher plant. Quality of spawn is basic for the successful mushroom cultivation. 1. Absorbent Cotton Wool I.P. Our hygienic range of Absorbent and Non Absorbent Cotton adheres to IP standard. This offered cotton is free from any dirt or impurity and are packaged in hygienic atmosphere. Our Absorbent and Non Absorbent Cotton are made from 100% pure cotton and are offered in all diverse sizes as per clients specifications. Well bleached and carded cotton having absorbency not less than 12 hours is used in pharmaceutical, dairy and related industries mainly for sterilization, and maintaining aseptic conditions for manufacturing process and also for packing purposes. In order to meet the diverse requirements of the clients, we are providing a wide array of Non Absorbent Cotton. This cotton is made under hygienically clean conditions in accordance with the set standard. Our offered cotton is used for households. Offered cotton is provided in best packaging material in bulk quantity. 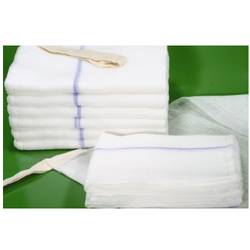 On offer from us is a premium range of Non Absorbent Cotton dressing. This product is processed at our highly advanced facility, under hygienic conditions for ensuring freedom from any kind of contaminant. Suited for household and industrial purposes, this product is non absorbent and soft in texture.